Biz knows how to float. She has her people, her posse, her mom and the twins. She has Grace. And she has her dad, who tells her about the little kid she was, who loves her so hard, and who shouldn't be here but is. So Biz doesn't tell anyone anything. Not about her dark, runaway thoughts, not about kissing Grace or noticing Jasper, the new boy. And she doesn't tell anyone about her dad. Because her dad died when she was seven. And Biz knows how to float, right there on the surface--normal okay regular fine. This is a mesmerizing, radiant debut, at once gutting, humorous, and impossible to put down. 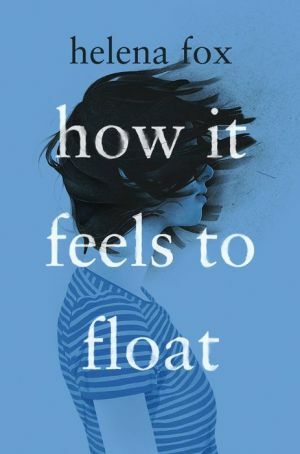 Helena Fox tells a story about love and grief and family and friendship, about inter-generational mental illness, and how living with it is both a bridge to someone loved and lost and also a chasm. She explores the hard, bewildering, and beautiful places loss can take us, and honors those who hold us tightly when the current wants to tug us out to sea.